Many insiders believe the future of retail lies in mobile payment. 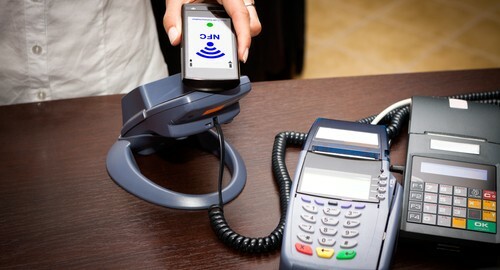 Mobile payment systems can offer convenience, security and added marketing value. However, despite its great potential, small businesses have been slow to take up mobile payments due to security concerns and costs, among other reasons. Those that have implemented mobile payment systems often seek to charge the customer for the privilege, rather than adapting their own business model. This has led to lower than expected consumer interest. So with that let’s examine these and other reasons why small businesses aren’t adopting mobile payments in greater numbers. There is a wealth of options when it comes to mobile payment systems – including mobile wallets, mobile card readers and mobile credit card processing. However, all of these systems seem to have at least one major flaw. As a result, it’s difficult for businesses to choose which technology to adopt and some businesses and consumers are overwhelmed by the choice and technicality of the options. Despite enthusiasm from early adopters with tech prowess, most ordinary consumers remain uninterested in – or even unaware of – mobile payment options. In fact, a survey by CMB Consumer Pulse last year revealed that only half of smartphone users had even heard of mobile payments, and only 8% were familiar with the technology used. Unless consumers demand mobile payment options from businesses, it is likely that brands will remain slow to adopt the technology. While innovation is important in business, it usually comes in response to existing consumer interest. Mobile payment systems have the potential to offer consumers greater convenience than credit cards and cash. However, because they have not yet been widely adopted, they are currently less convenient than credit cards, which are accepted everywhere and easy for paying on the move. As well as limited acceptance, mobile payment systems also have technological limitations. For example, while Android and Windows smartphones support near field communication (NFC) – a feature that allows users to take advantage of tap-to-pay services offered by Google, Visa and Mastercard – Apple devices do not. As well as technological and availability limitations, mobile payment apps make big demands on the batteries of smartphones and tablets. With the current limitations of mobile device battery technology, activities such as checking email and social media, sending text messages and playing games can quickly use up the available battery power of a smartphone or a tablet. Using these mobile devices as a wallet will further drain battery power and, if recharging is not possible, no phone means no wallet. Despite assurances that mobile payments are secure, concerns remain about the vulnerability of such systems to digital theft, hacking, malware and other forms of unauthorised use. For example, while most pc and laptop users now use anti-virus and other security software to protect against online threats, the use of equivalent security apps is less widespread among smartphone and tablet users. In addition, the Payment Card Industry Data Security Standard (PCI DSS) – a set of controls which businesses must comply with to protect credit card data and transactions – does not yet apply to mobile card transactions. This potentially exposes smartphone and tablet users to security risks. That being said, most mobile payment systems are just as secure as credit card transactions and protected by the same provisions. However, security concerns remain and consumers need further assurance that mobile payments are as safe as credit card and online banking transactions. Despite technological drawbacks, lack of awareness and security concerns, mobile payments offer many benefits such as lower processing fees. If a few more big brands seek to innovate by accepting mobile payments, it will soon start to catch on with the general public, small businesses and the retail industry as a whole.